Apart from being Finland’s national sport, cross-country skiing is also a lot of fun. Our guide will prime you in the basic skiing techniques, the same ones all Finns are taught in school. When you get a hang of the sport you’ll be off striding and gliding along the best and most beautiful cross-country ski trails in the world. You will not only enjoy the breathtaking views and the professional instructors' attention but also get a nice little work-out outdoors. Feel like a real Finn! This activity is an introduction to skiing and will be a fun activity for the whole family! 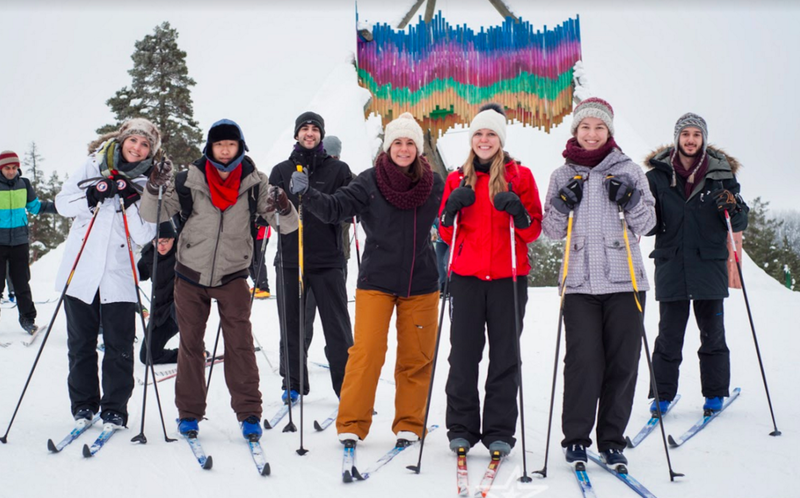 2h Introduction to Cross-country skiing includes the gear (skis and ski poles) and a ski trip at the National Park with an experienced guide. Outdoor sports clothing is highly recommended. Our cross-country school is available daily. Price for 2h is 65€/adult, 45€/child (4-14 years old). 10AM Every day, other time slots upon request - contact us via email! Cross-country skiing can be organized privately for groups upon request. Please book at least 24h prior to the departure or stop by our office to check availability for the same day!